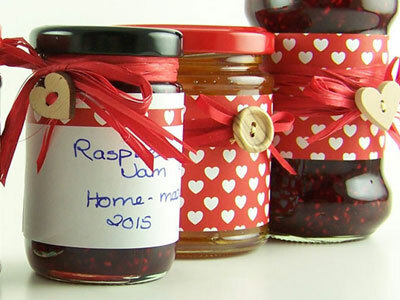 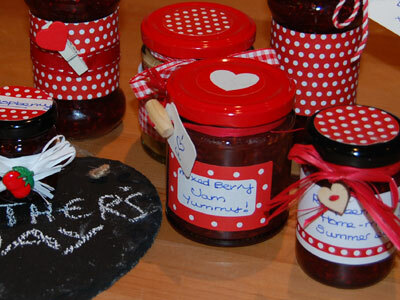 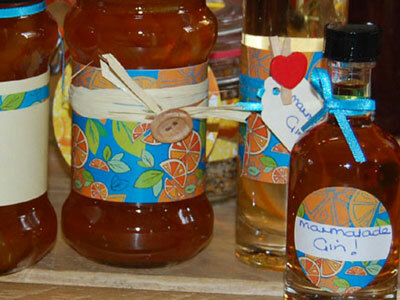 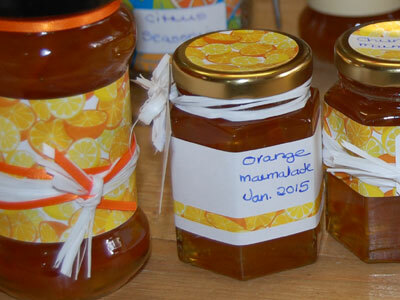 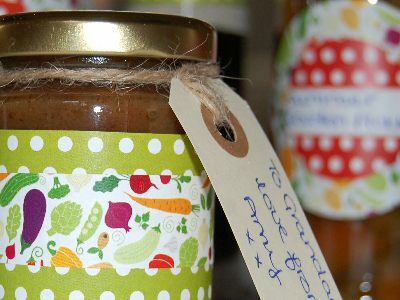 Come and have a look at what is on the shelves of Rosie's Pantry - lots of new ideas and exclusive products to make your preserves extra-special.Use the elements from the co-ordinated ranges to build up a layered look that is mixed and matched or swap between them and express your individuality. 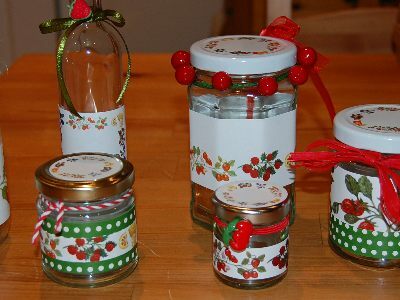 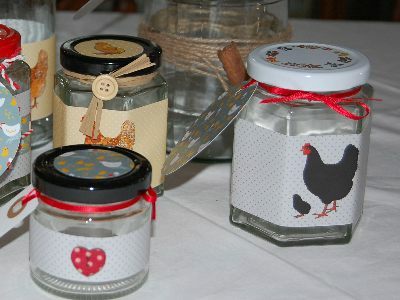 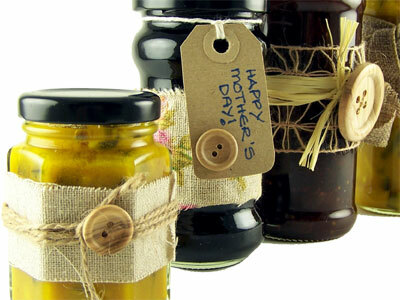 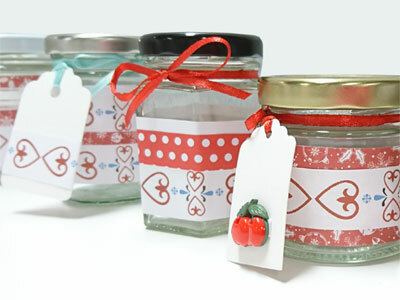 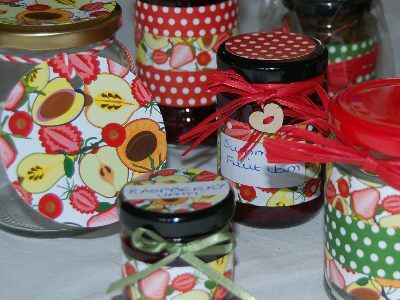 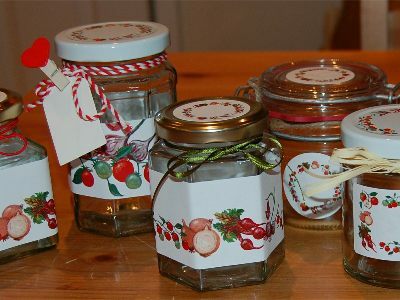 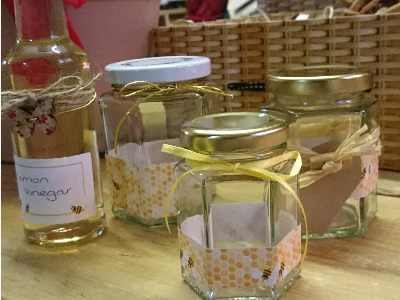 The paper - and fabric - wraps can be cut lengthways into strips for smaller jars, or stuck together to fit around bigger jars. 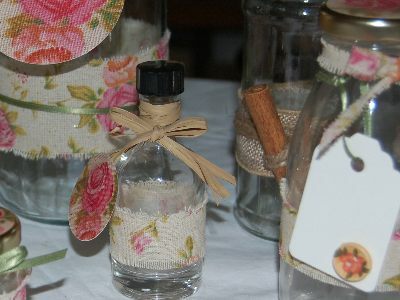 Ribbons, string, raffia - all can be used on their own, twisted, plaited, or wrap round and round to create a strong design. 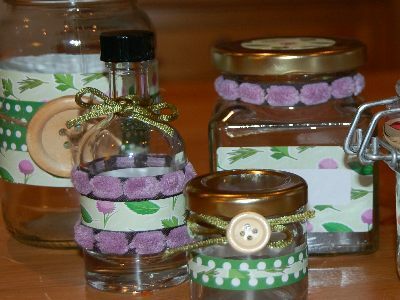 Cinnamon sticks and wooden buttons look really good with this treatment. 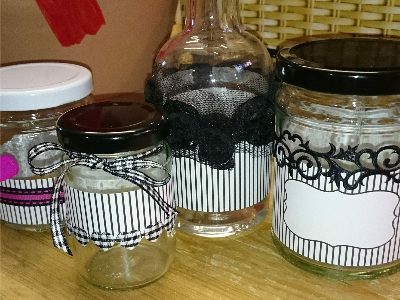 We have cut down some of the tags to make tiny tie-on labels, attached buttons to some but you will come up with even more ideas. 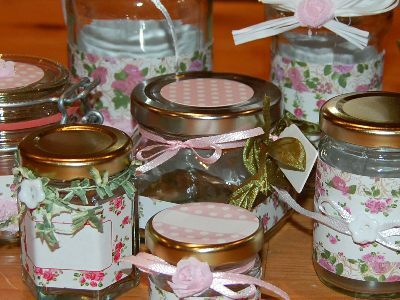 All of the elements are inexpensive so you can afford to create a generous impression.